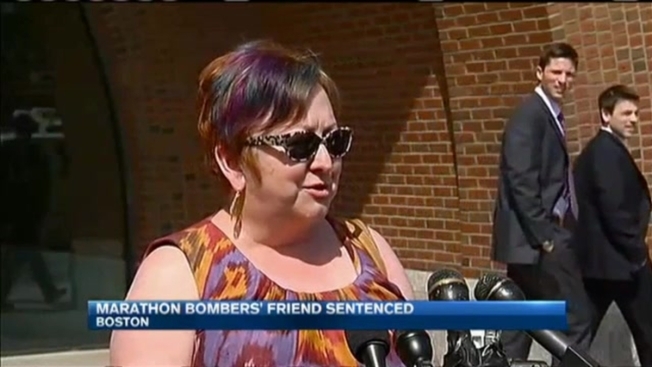 A friend who had dinner with the Boston Marathon bombers hours after the attack was sentenced Thursday afternoon to 30 months in prison for misleading investigators. Khairullozhon Matanov was a friend of Tamerlan Tsarnaev and an acquaintance of Dzhokhar Tsarnaev. He pleaded guilty in March to misleading the FBI after the 2013 bombings by deleting his computer files and failing to disclose contact he had with the brothers. Matanov had reached a plea deal with prosecutors, and that agreement was approved by a judge at a hearing on Thursday afternoon. The Kyrgyzstan native wasn't accused of knowing about the bombings ahead of time or participating in the attack. 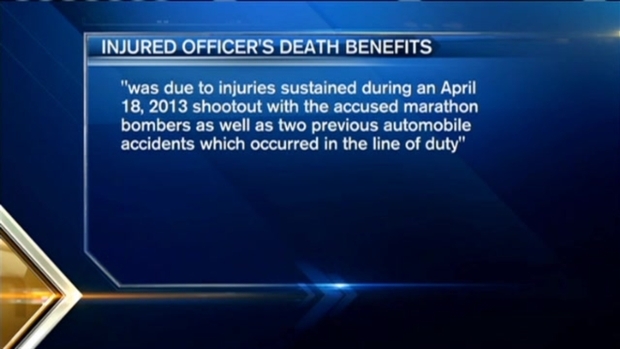 The State Retirement Board in Massachusetts has awarded a line-of-duty death benefit to the family of a police officer who was wounded in a shootout with the Boston Marathon bombers and died a year later. Tamerlan Tsarnaev died in a shootout with police days after the bombings. His brother was convicted and sentenced to death.